2016 Vietnamese Talent Award ceremony honoring outstanding talents in the three sectors of Information Technology (IT), Health and Applied Sciences was held in Hanoi on November 19. Deputy Prime Minister Vuong Dinh Hue (R) presents the first prize in the category of information technology. Two first prizes in the category of information technology went to Early Start Co., Ltd for the product ‘Monkey Junior”, a foreign language teaching application for children 4-10 years of age; and Chon Loc Information Technology Joint Stock Company (Infore) for the product “SMCC”, the semantic analysis system and social networks interactive management. Two second prizes belonged to Tripi.vn, Vietnam’s first tourism trading floor by the Tourism Technology Development Joint Stock Company; and Vietnam mPOS Technology JSC for the mobile phone application which enables businesses to effectively accept credit and debit card payments at all banks in Vietnam, MobilePOS. The Hachi-Smart Agriculture project by a group of authors, Dang Xuan Truong, Vu Thanh Dat, Hoang Thi Yen Mai, Nguyen Van Quan, Dang Van Hien and Nguyen Thi Xuan won the promising start-up award. The first prize in the field of applied sciences was presented to MCs Nguyen Van Tra for his automated canning system that is designed to fill and seam 50,000 cans per hour. The first prize in medicine was awarded a group led by Professor Nguyen Anh Tri, head of the National Institute of Haematology and Blood Transfusion for the research and application of stem cells in the treatment of blood diseases. The research and application of new techniques in colorectal cancer surgery by a group of scientists at Hue Central Hospital received the second prize. 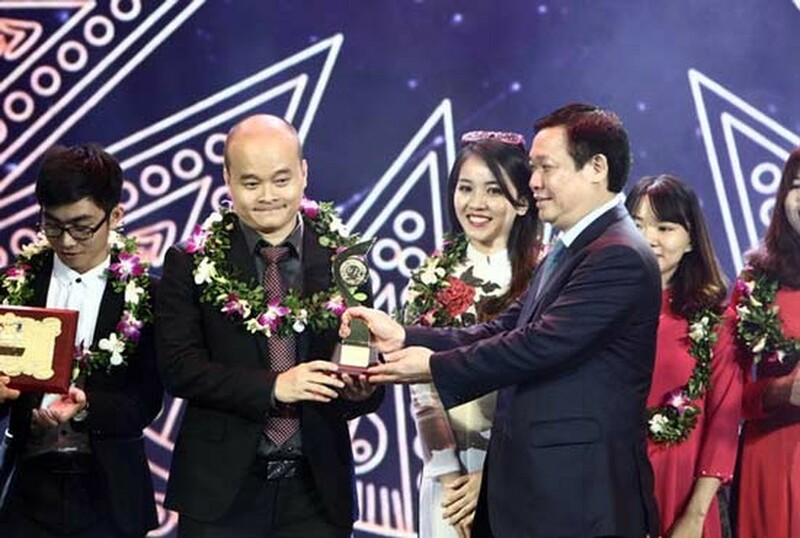 Launched in 2005, the annual Vietnamese Talent Awards is jointly organized by VNPT Group, Vietnam Television (VTV) and the Dan Tri online newspaper.